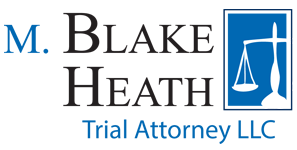 M. Blake Heath and Scott Waddell with the Waddell Law Firm successfully obtained a jury verdict for Luke Baker after he was hit by a cab while driving his motorcycle. On August 2, 2010 at 1:00 a.m., Luke Baker was traveling north on Grand Boulevard when he entered the intersection of Grand and Pershing. Upon entering the intersection, Plaintiff was struck by Defendant Elise Filo. Defendant Filo was driving a cab owned by Defendant Atlas Cab Company and she was on her way to pick up a customer. At trial, Luke Baker explained that Defendant Filo ran a red light. Defendant Filo denied liability and claimed she entered the intersection on a yellow light. Luke Baker also alleged that Defendant Filo was an employee of Defendant Atlas Cab and that Atlas was responsible for the actions of its driver. Defendant Atlas Cab denied liability for Defendant Filo and argued she was an independent contractor. The defendants also denied liability because Luke Baker did not have a valid motorcycle license. Counsel for defendants argued in closing that the accident never would have happened had Luke Baker obeyed the law and not been operating his motorcycle the night of the accident. Defense counsel asked the jury to send a message by finding the plaintiff completely at fault for not having a valid motorcycle endorsement. The jurors, however, did not want the streets of Kansas City to be open season on motorists entering an intersection on a green light, and they sent a clear message to cab companies that they can be responsible for the conduct of their drivers. The jury awarded Luke Baker $152,666 in damages and assessed him with 42% fault for the accident. The jury also found that Defendant Filo was an employee of Defendant Atlas Cab and thus Atlas was responsible for any damage assessed to Defendant Filo.